Elegant and customizable transition effects for Final Cut Pro X. 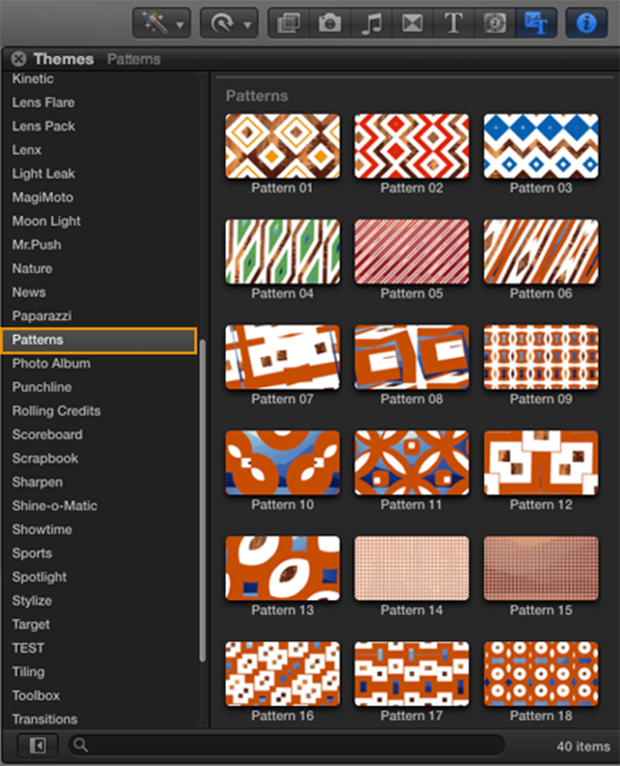 Patterns is a collection of 40 Transition elements available to use in your projects right inside Final Cut Pro X. You can easily find Patterns in the Transitions or the Themes Browser, and look for the Patterns category on the side bar. Select the element of your choice, click to select it, and drag it to the timeline edit point and adjust the simple parameters to your liking. 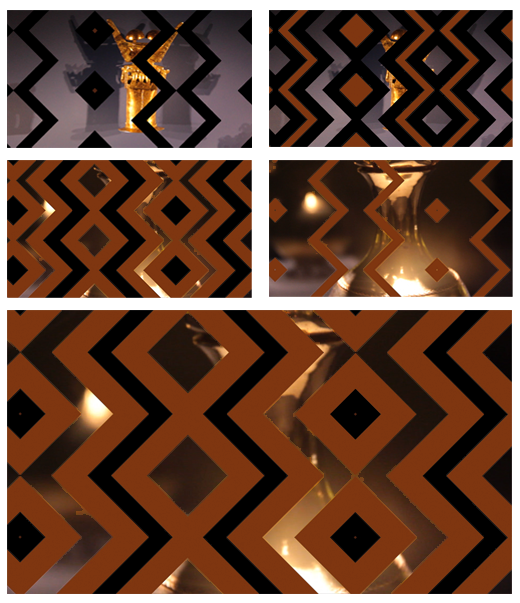 Patterns is very simple to use, and it brings a creative and unique alternative to the world of transitions.